/ Features / Opinion / Motor City Blogman / Mercedes Plans a Family of FWD-Based Compacts for the U.S.
Mercedes Plans a Family of FWD-Based Compacts for the U.S.
Mercedes-Benz never has quite given up on its quest to become the purveyor of relatively affordable, commodity cars. It soon will expand its lineup of entry-luxury models that start at a middle-class point. If you can find a 2018 Mercedes-Benz CLA250 with absolutely no options, not even an extra-cost paint color, it will set you back $33,695 retail, about the average price of a new vehicle in the U.S. today. That’s a notch above Mercedes’ past commodity efforts, which include the Smart brand it initially shared with the Swatch watch company, and its nine-year ownership of Chrysler. Now, the A-Class lineup is expanding according to Ola Källenius, Mercedes-Benz’s vehicle research & development chief. The lineup consists of the CLA-Class and the GLA-Class crossover/utility in North America, as well as the new A-Class hatchback recently launched in Europe. We scooped the Mercedes A-Class sedan for the U.S. in our August 2016 Future Cars print issue. 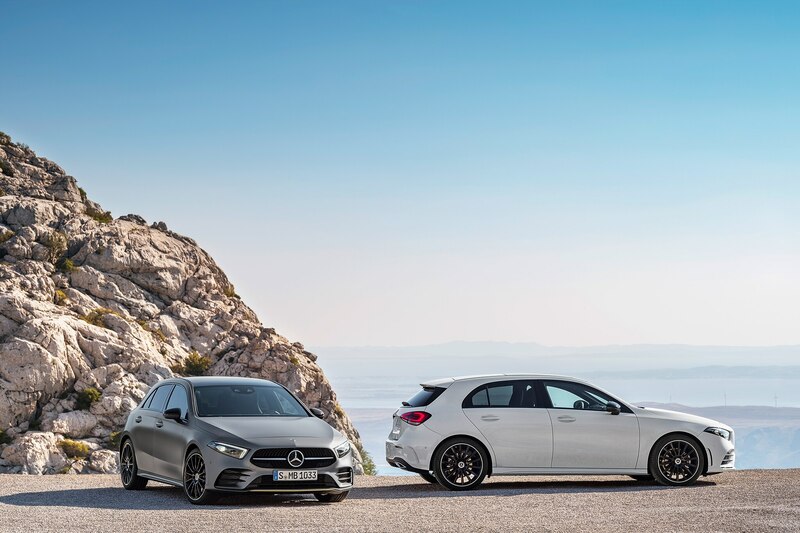 It’s an obvious move for the Three-Pointed Star—add a trunk to that new A-Class hatchback to create a more upright, “three-box” sedan counterpart to the CLA, with its “four-door coupe” profile, and go toe-to-toe with the Audi A3 sedan. 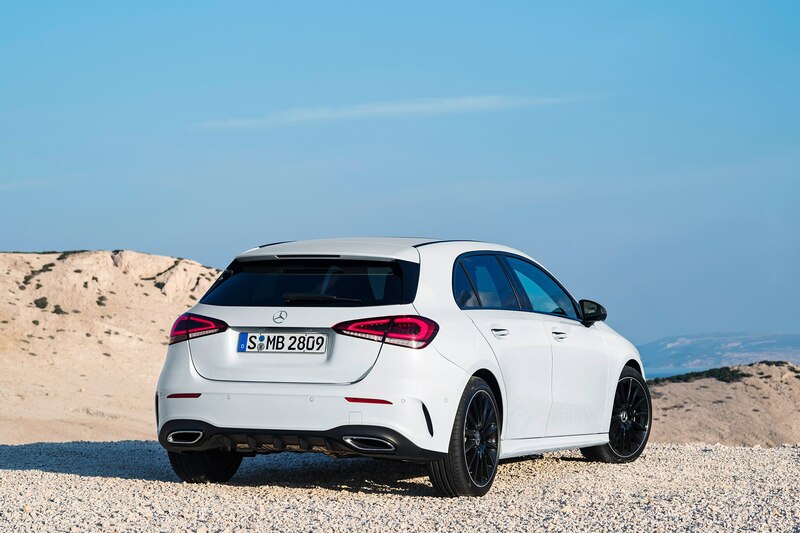 Källenius told a small group of American reporters at the Geneva International Motor Show that the Mercedes-Benz A-Class will come to the U.S. by the end of this year, and that the brand’s “compact” family will expand. 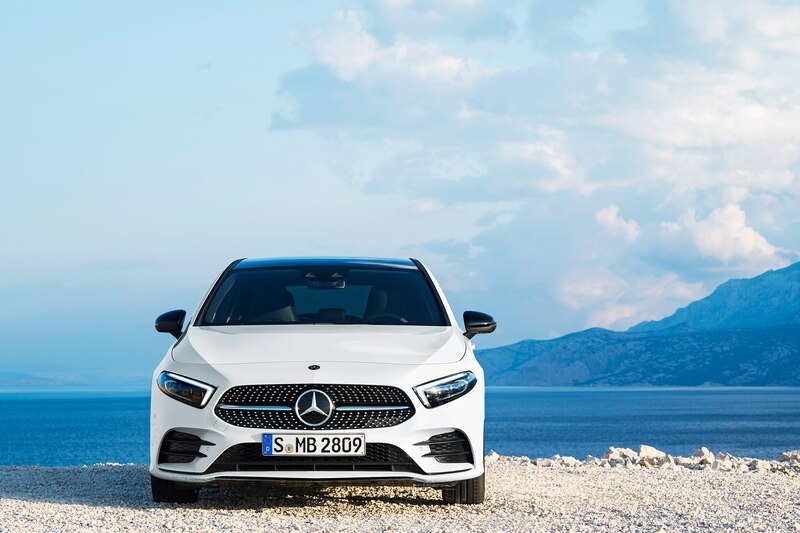 The new A-Class sedan, based on the hatchback recently introduced in Europe, is on an all-new transverse-engine platform, and it’s part of a new and expanding family to be sold here, and there. “It’s more than the CLA and the GLA,” he said, “so you’ll have more in this next generation than we had in the previous generation, and see some very good potential there. Especially since the conquest rates on the CLA and GLA have been so phenomenal. The A-Class sedan doesn’t replace the CLA here, but adds a third model to the two-model U.S. market compact lineup. New editions of the CLA and GLA should be coming some time soon, though we don’t know exactly when. And there could be additional models. In addition to the A3 sedan, Audi has a two-door cabriolet version of the A3, and its TT coupe and convertible is part of the same family. So will Mercedes produce a two-door convertible version of the A-Class? Hard to say at this point. It’s easy to assume Mercedes would expand the crossover/SUV side of the family first, though the only variation of the GLA I can envision is a compact version of the Mercedes-AMG GLE Coupe, which would result in a back seat and cargo space as useful as the CLA’s back seat. As for a TT competitor, it’s easy to forget now that Mercedes presented a concept called the Vision SLA roadster way back in 2000. There was talk of production back then. It would be a transverse-engine, FWD roadster that’s smaller than the longitudinal engine, RWD SLK, itself not a big-volume roadster. In the U.S. last year, the CLA/GLA-Class sold a combined 44,773, down from 50,337 in calendar year 2016. The CLA was responsible for nearly all of that drop, having slid by 4,335, to 20,669. After a big advertising campaign beginning with the Super Bowl, the 2014 Merc CLA sold well in the first year, and then dropped into the 20s. Just like a two-door coupe, four-door coupes tend to be fashion items that sell well only for the first model year. Then, everyone who wants one has one. But last year’s CLA/GLA combo was just 2,332 units shy of the entire BMW Mini line in the U.S. That’s not a bad result, until you add the Mini-based BMW X1 into the equation. BMW sold a healthy 30,826 X1s in calendar ’17, up from 27,812. With Mercedes A-Class, next CLA-Class, and next GLA-Class all coming to the U.S. market, you can bet the CLA won’t get much above 20,000 annual sales here ever again. And you can bet that probably some CUV variant of the GLA is in the pipeline. As I’ve written many times before, market trends indicate people trade in midsize sedans for compact CUVs, and compact sedans for subcompact CUVs. But, in fact, the B-, C- and D-segments, or subcompact, compact, and midsize, are a bit more blurry among European luxury brands, so it’s hard to say whether the GLA-Class and any other CUV variants would be more likely to catch C-Class (and, Mercedes hopes, BMW 3 Series and Audi A4 buyers), or something else. 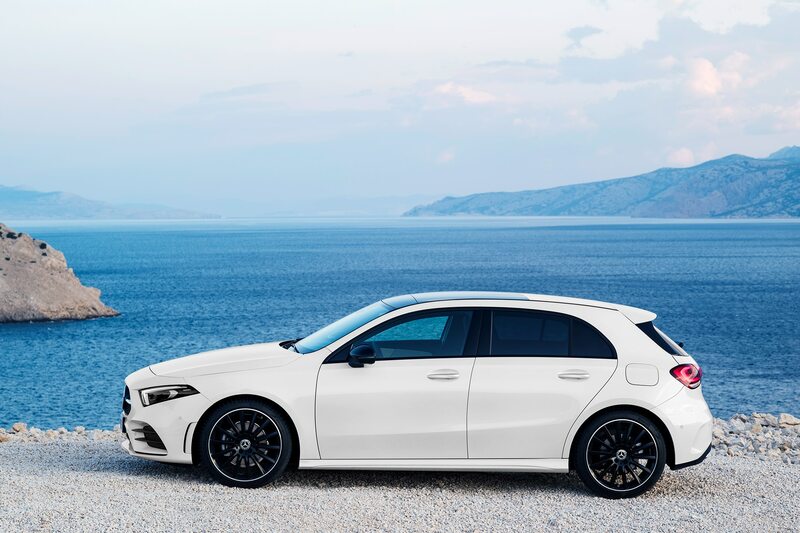 Since Källenius sees this entry-luxury compact family as Mercedes’ best lineup of conquest models, more likely these cars and CUVs will lure aspirational buyers out of, say, Acura TLXes, and Infiniti Q50s, or even out of Honda Accords and Toyota Camrys. Which raises another reason behind Mercedes’ plans to expand its FWD-based compact model lineup. Also at Geneva, Mercedes sales and marketing chief, Britta Seeger, detailed the company’s new, upcoming car-subscription service. Under the rather silly name, Mercedes Me Flexperience, Benz subscribers will be able to change models up to 12 times per year, within a given Mercedes class. Pay C-Class money and you won’t be able to nab a Maybach or an AMG GT for your summer vacation. But for a monthly fee presumably less expensive than that C-Class price level of cars and SUVs, you should be able to choose between an array of A-Class sedans, CLA-Class four-door coupes and GLA-Class CUVs, and soon, more. A convertible variant of the A-Class would seem almost necessary. Perhaps by the time Mercedes Me Flexperience makes its way into its first U.S. city (bet on Los Angeles) some time in the next couple of years.